Awarded for Best EcoXpert - Critical Power - Indexel Engineering Pvt. 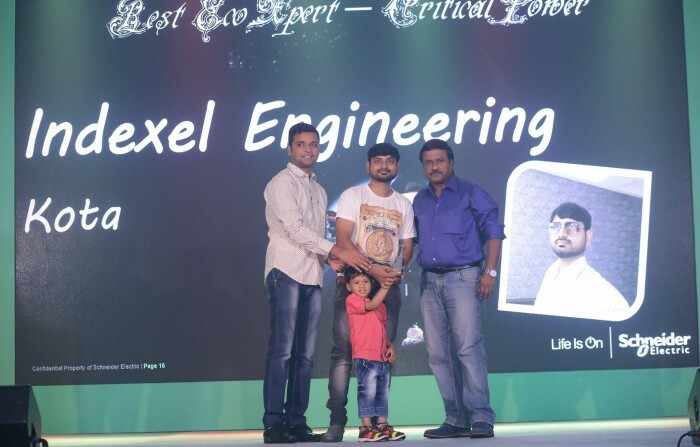 Ltd.
Indexel Engineering Pvt.Ltd has received an award for “Best EcoXpert-Critical Power”. This award represents expertise in utilizing power management systems, employing advanced metering networks, power quality management and using the best software tools to help large and critical buildings to manage energy costs, improve electrical systems reliability and optimize electrical equipment performance. In their Critical Power EcoXpert partner program, power availability, reliability, and quality take the center stage within industrial sectors. This meet for EcoXpert was held at A-One The Royal Cruise Hotel, Pattaya, Thailand. We at Indexel are proud to receive this auspicious award and we will continue to be energy efficient and keep this on top of our priorities.